Andy Rubin's quixotic smartphone startup, Essential Products, has cancelled a handset and is looking for buyers, according to a Bloomberg report – just a month after opening its doors in the UK. "The company hasn't yet made a final decision on a sale," Mark Gurman writes, but has "canceled development of a new smartphone". Bloomberg stops short of asserting that it isn't making any more phones at all, and Rubin himself positioned it as a rationalisation, rather than something more terminal. "We always have multiple products in development at the same time and we embrace canceling some in favor of the ones we think will be bigger hits. We are putting all of our efforts towards our future, game-changing products, which include mobile and home products" Rubin tweeted. He didn't rubbish the idea of Essential being up for sale, though. Foxconn and Amazon are among investors in the venture, which had ambitions to build an ecosystem of consumer electronics around a modular phone. It was a platform play disguised as a smartphone play. The phone itself wasn't so unique: Motorola has assembled a family of own-brand and third-party "Mods", which, like Essential's add-ons, attach via a strong magnet. Mods on the market include speakers, a printer, a projector and, like Essential, a 360-degree camera. 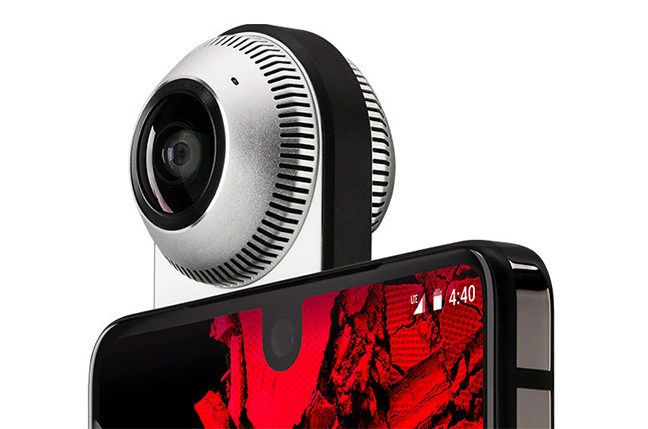 So far, however, the Essential 360 camera is the only compatible clip-on for the Essential phone. However, the involvement of Rubin helped fuel great excitement before its launch. He founded Android Inc, acquired by Google in 2005, and before that Danger and WebTV. As for the phone itself, it was "overhyped and underdelivered". Prices were soon slashed, and analysts reckon it sold a mere 88,000 units in 2017. Apart from a great engineering team, it's hard to see what is worth salvaging. Home hardware ecosystems either require vast industrial muscle (Samsung and Sony) or platform ownership (Apple and Google), leaving little room for a new kingpin. The news wasn't a surprise to analyst Richard Windsor, who had predicted a move sideways. "The problem is that the digital ecosystem is currently firmly rooted in the smartphone meaning that any purchase decision a consumer makes is almost entirely influenced by the smartphone experience," he notes on his blog. "Therefore, trying to create a hardware-based ecosystem experience without a smartphone is like trying to build a car without wheels." Windsor thinks the opportunity has vanished now that Google and Amazon have stuffed homes with their not-at-all-creepy home speakers. "The price paid is likely to be just a tiny fraction of the mooted $900m-$1bn valuation just one year ago," he predicts.